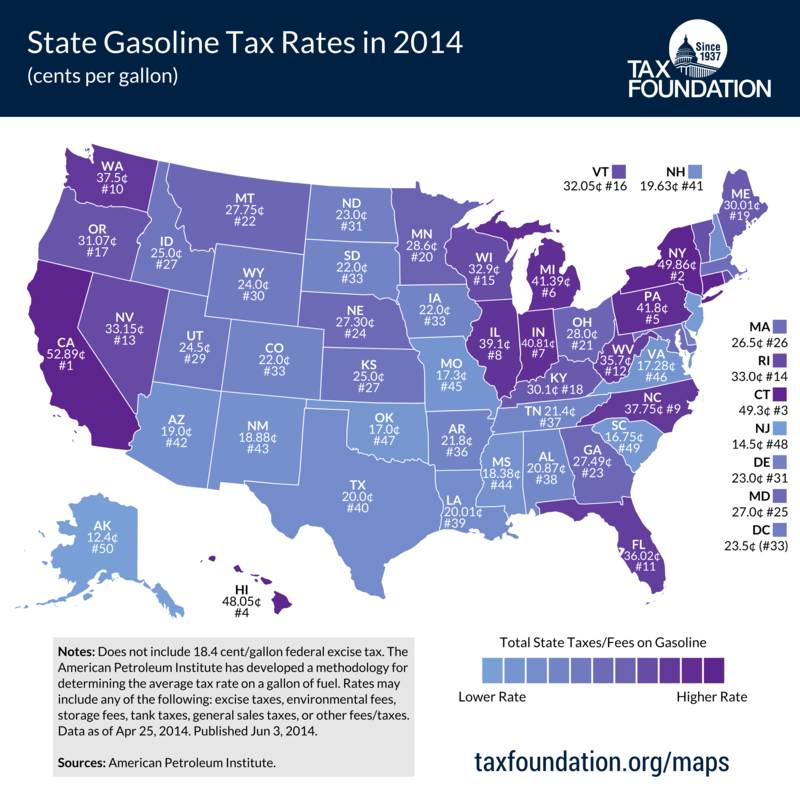 This week’s tax map takes a look at state gasoline tax rates, using data from a recent report by the American Petroleum Institute. California is in 1st place with the highest rate of 52.89 cents per gallon, and is followed closely by New York (49.86 cents/gallon), Connecticut (49.3 cents/gallon), and Hawaii (48.05 cents/gallon). On the other end of the spectrum, Alaska has the lowest rate at 12.4 cents per gallon, but New Jersey (14.5 cents/gallon) and South Carolina (16.75 cents/gallon) aren’t far behind. These rates do not include the additional 18.4 cent federal excise tax. Gas taxes are generally used to fund transportation infrastructure maintenance and new projects. 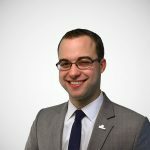 While gas taxes are not a perfect user fee like tolls, they are generally more favorable than other taxes because they at least loosely connect the users of roads with the costs of enjoying them. However, some of our recent analysis shows that many states do not rely on gas taxes and tolls as much as they could, and instead fund substantial amounts of transportation from other sources like income and sales taxes. Follow Scott and Rich on Twitter.